Welcome Back To Class 5-315! 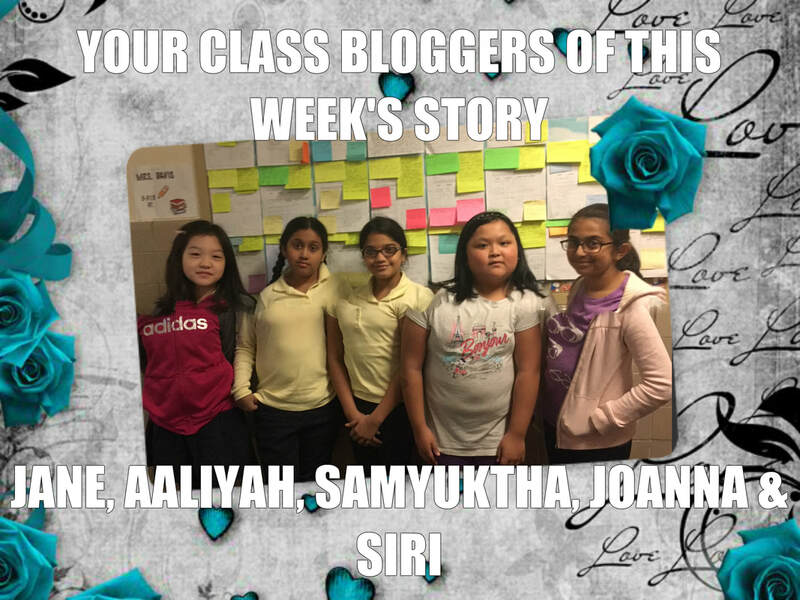 Welcome back to another round of… FAMOUS CLASS BLOG!!!!! 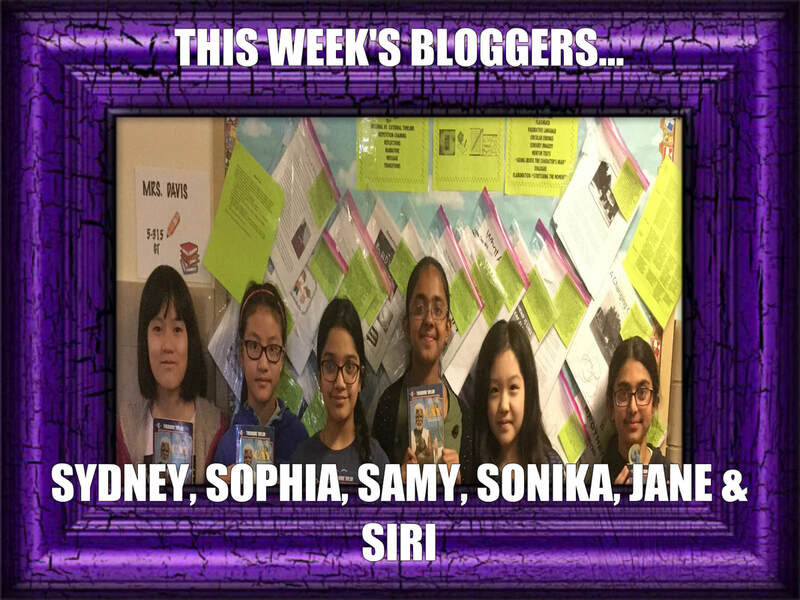 Written by Samyuktha, Siri, Jane, Sonika, Sophia, and Sydney! Phew, that’s a lot of names. Are you ready to get exclusive access on all that’s happening in our amazing classroom? There are a LOT of things to cover. But don’t worry; you won’t be here for a whole decade, only about 10 minutes of reading can give you a little peek into our lives of 5th graders at school. (By the way to all who’s wondering, this is probably the first time that there were this many people working on the class blog. This should tell you guys that this will be an AMAZING blog. Keep reading!) Read on to find out! We’re back to Socratic Seminar with “The Cay” by Theodore Taylor, an amazing book about a white boy named Phillip and a West Indian man named Timothy stranded on an island in the Caribbean. When Philip is “blinded by the truth,” he is able to “see” past the color barrier. Our classroom is also focusing on the two books, “Ordinary Mary’s Extraordinary Deed” by Emily Pearson, and “Life” by Cynthia Rylant. We wrote a comparative essay comparing the two texts. The book “Ordinary Mary’s Extraordinary Deed” teaches us about spreading kindness and “Life” teaches us to appreciate life. Soon, we’ll be reading “I Am Malala” as a class and discussing that as well. Our class is ready for these amazing events coming up, like the senior trip! We’ll be going on an amazing cruise, with dancing and sightseeing galore! Don’t forget the amazing buffet! We are departing from 2430 FDR Drive Service Road E, New York NY, 10010. This awesome trip is on May 29, 2018, and we can’t wait! We’re also gearing up for Poem in Our Pocket Day, and the Spring Concert. On Tuesday, May 22, join us for our Spring Concert, for band, dance club, and glee club and cheer along! But we can’t forget Carnegie Hall! Some of our classmates are going to be up on stage, and playing with the orchestra while the rest of us will be singing and playing along the tunes in the audience! Poem in our Pocket Day is getting closer and closer, and we can’t wait to see what you guys will bring in. What’s your favorite poem? We are thinking about going back to working on the kindness project that we stopped for awhile. Stay tuned to see what we’re going to do next on this amazing project! We are planning to do something called Kindness Rocks (which may include making our own school rock garden) and we are thinking about whether it should be a school wide activity or not (our legacy must live on!!!). Kindness rocks! 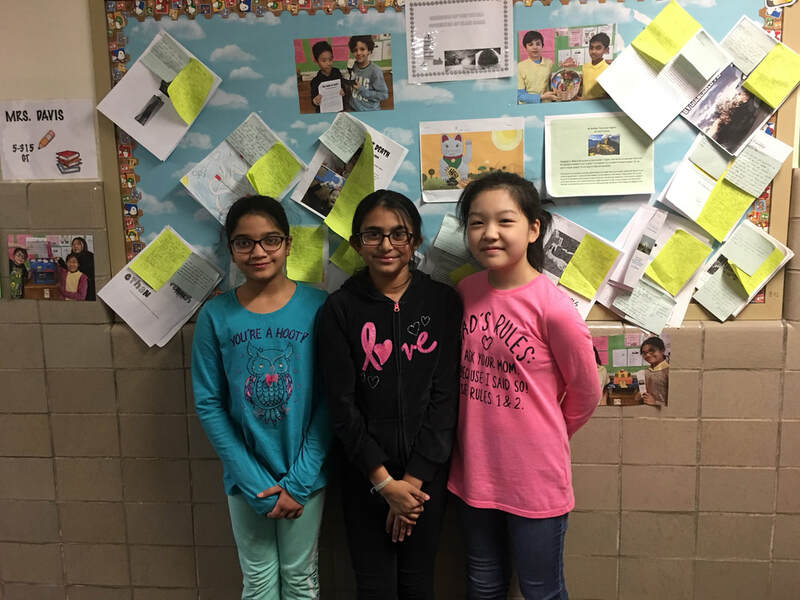 In Social Studies, we worked hard with Westward Expansion webquests, discovering what happened back in those days, and we moved on many years later to the Civil Rights Movement. We will be sharing webquests on April 24th. In writing workshop we are working on poetry and we are working about different styles of poetry. We will be making our own scrap books which will contain our own poems and some of our favorite poems. Recently, we have had a share of our favorite poems and have tried writing poems ourselves. Who knew poetry was so fun? We can’t wait for more! Something extra we have decided to do is birthday shoutouts!!! Happy Birthday shoutouts to the April, May, and June birthdays. Happy birthday to Erica, Ethan G., Jane, Vince, Raphael, Samyuktha, Grace, Sonika, Srinath, and Bowen!!!! Have a great birthday!!! We hope you enjoy your special b-days!!! As the school comes slowly to an end, we still have a tight schedule. It is sad that next year, we’ll not be a student of P.S. 165 Q anymore. No, we’ll all be middle-schoolers. But that doesn’t mean that we’ll forget a single thing that we have learned in this school-- especially the three B’s: Be kind, be respectful, and be responsible; especially when no one else can see! Until next time, stay tuned for our next blog, which will be full of more exciting news and adventures. Good-bye!!! Anyways, all of us are overjoyed! Why? Winter break of course! Just a little more time…. And we’re free from school! But not homework, of course. Boohoohoohoohoo… We’re still learning outside of school! So, let’s all give a hearty cheer for happy holidays and a great new year of learning and fun. Hooray! Let’s get down to business. In reading, we are almost done with the amazing book ‘Night of the Spadefoot Toads’ by Bill Harley. We are currently focusing on the character changes, and how they interact with other characters. In writing, we are finishing up our feature articles, and are almost ready to publishing them, and we are waiting for that to happen. Stay in tune for that coming up! Hey, there’s so much going on, that we forgot to tell you about the awesome things that are coming up (and that passed)! In the coming new year, we’re going to broadway! To be exact, Spongebob Squarepants! We’re so excited! On December 6th, we went to go see the movie Wonder. It was very emotional. Why? It’s because the author who created the book found her inspiration from one of her experiences. Also, we are having debate classes every Thursday. Two girls from our class are going to the library for a program called “Beautiful Me.” They are excited to show other girls in their class to recognize themselves as beautiful, no matter what. Let’s give a great round of applause for our wonderful Queen of the Classroom (she crowned herself), Mrs. Clyne. This is because she brought up many wonderful, fun, and interesting things to do this year, such as our Natural Wonder projects or our Pangea webquests. This has kept us on the edge of our seats for the whole year so we’ll be able to get a good education and academics (and not fall asleep). What’s Up In Our Class? Welcome back to another episode of “What’s Happening” with class 5-315! Man, does time fly! Amazing things are happening here in Class 5-315. We are constantly stepping out of our comfort zone to do educational and fun activities. Like for instance, the Kindness Poster we created last month. Plus, we are working on our “Starts With Hello” presentation. So far this month, we have accomplished great many things. For instance, we are completing drafts of our narrative writing. In writing workshop we wrote many seed ideas, and now we are drafting and a revising using the personal narrative checklist, rubric and graphic organizers provided to us by our fabulous teacher, Ms. Clyne-Davis. She also gave us many tools to put in our toolkit’s like creating engaging leads and Big Bang endings. We discussed the “so what’s?” In our stories which reminds us that we have a big idea- message- universal truth to share- just like real authors! In fact, Mrs. Clyne- Davis reminds us all the time that we are real writers!!! So what are we writing about? Many of us are writing about our very first time of doing something like that first ever coaster rides, or how we felt when our little brothers were born, and much more. The book of the month of October is Kindness is Cooler, Ms. Ruler! We know that kindness is one of our golden rules in class. So, we read this book to see what kind of things you can do to be kind. We then worked in partnerships to create interpretive essays based on the book. We have to choose a theme and create 3 reasons to support our thinking. We also have to choose a theme. In the book, Mrs. Ruler comes up with a fun activity for her students to do. And very soon, it ended up being a success! Pretty cool, right? We finished “The House On Mango Street” By Sandra Cisneros and writing amazing literary essays about important themes in the book. This was such a great mentor text to show us how to use more figurative language in our writing, how important it is to develop our own identities and never give up. The book even inspired us to write our own extended metaphors like the author did in the vignette, “Four Sunny Trees.” We are really flexing our figurative language muscles here in room 315! In social studies, we began a webquest based on how our continents formed. Working together in teams, with four people in each group. As along the way, we learned about Pangaea ourselves. We could put information in a document or in a slideshow. We also began preparing for our presentation known as “Starts With Hello” in September. There will be singing by the two G&T classes, 5-303 and 5-315, and some amazing teachers to help us on our journey. This presentation is all about starting with hello, to help eliminate loneliness in school so everyone has friends. This is the second run of the show, and we are going to use new songs like “Try a little kindness.” Perfect, don’t you agree? . So, we can’t wait until we share our presentation to you on Friday, October 20. In math, we are beginning division and just wrapped up learning about order of operations with the PEMDAS model. We are very interactive on websites such as I-Ready and Think Central. We have just finished our Chapter 1 assessment and moving on to the Chapter 2 Pre-Assessment. Well folks, our presentation is over, but there will be more episodes coming up soon. We are looking forward to telling you guys more of our interesting stories. We have a lot of people to thank. But the two main people that we want to thank are Mrs. Clyne and our parents for supporting us all, and yes we mean all the time. What do fifth graders do on the first full week of school? What can they cover in 5 days? 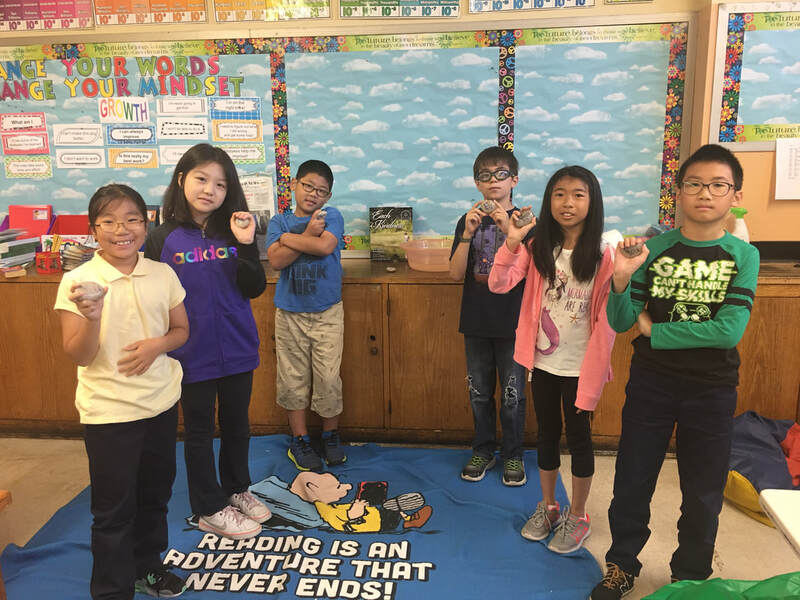 What has Mrs. Clyne Davis’ cool class been doing? If you’re wondering these things, then you will want to read this blog. It tells you everything you need to know about what we did. So, sit back, relax, and enjoy the show! Some of the things we did was right away, get started on writing workshop. We found a nook in the classroom where we could concentrate and write about anything that we wanted. We learned that writing and reading is thinking, so we shouldn’t think before we write and read, we should think as we write and read. We also started having our post-it chats this year. In math, we started our Go Math books and learned some problem solving strategies that we will use throughout the year. We also wrote math poems. For example, some people wrote about shapes, numbers, and graphs. Another event is in October, when we will be performing our #StartswithHello performance again. We also made posters about one of the three bee’s this year. The “Bee” we are focusing on this year is kindness. As you can see, we are already rocking and rolling in our awesome fifth grade class, and we hope we have a great school year. We are all excited to be going on our first and last fifth grade journey at P.S. 165Q! Until next time, bye!!! Welcome back to our wonderful class! We have been practicing boring test prep over and over again for the ELA test. Now that the test’s out of the way, we get to play! NOPE. Not at all. We have to prepare for the Math test. Ugh. Then we have to do the science state test. When is testing going to be over? This is a very tense year with 3 tests that we have to nail. But on the good side, math is better than ELA. Don’t you agree? We just finished the book Almost Home. Almost Home is a book about a girl named Sugar who has many hardships coming her way, such as her dad, Mr. Leeland and how he makes Sugar and her mom, Reba lose their home and live in a homeless shelter. In our last socratic seminar, we all had great ideas. For example, in the first part of our socratic seminar, somebody said that the sentence “I don’t see the next monster rising up” relates to Our Inner Dragons. Another example is that somebody said that the sentence “There are no ripples in the water whatsoever” means that there isn’t any danger. In the second part of our socratic seminar, somebody said that the author, Joan Bauer wanted to break the stereotype of children being weak and relying on their parents and so that’s why she created Sugar. Somebody also said that people walk by homeless people because they think that it was the person’s fault. In social studies we finished our American Revolution webquests and they turned out to be beautiful. Now, we’re working on the Constitution. We are reading the book Shh! We’re Writing the Constitution. In math, we’re working on a project about decimals and money which includes actual Applebee’s food! We’re working in partnerships to do this which means it’s going to be a lot of fun! For fun, we’re singing a song from the broadway show Hamilton. We think that this is even better because we’re going to be performing our hard work on stage! Close to our 100th day of school, many classes may be tired, but now class 4-315 is producing lots and lots of work. We have been reading both fabulous books, “The Great Gilly Hopkins” and “The Birchbark House” and are almost at the end! We also have been starting to publish our Hero Essays that we have created and studied lots of writing such as summary writing and who has the power in our stories. Lately for story time, we have been enjoying books that are written by Patricia Polacco, and social issues. Even though we are quite busy with everything, that doesn’t mean that we can take a break and not do one part just because “you didn’t have time” or “I forgot to do it”! In fact, we have a new program that we can go to during our recess time called ‘Starts With Hello’. It tells how people are sometimes just lonely and that’s how they try to harm themselves or others. Our class has seen that in books, and we have tried to come up with possible solutions for this kind of problem. So far, we’ve come up with ideas like putting up banners, posters, ads, and many others for people to know what to do in case they see a lonely person. We’ve also planned to have name-tag day as well as a day where you can leave post-its with nice comments on them to make a person’s day. As for math, we’re almost up to our second book and the best yet, we have a new project that is pretty funny. It’s called: Would You Rather Be A Factor Ninja Or A Multiple Monster? Then we have to write a essay on why we chose that number and answer a couple of other questions referring to that topic. We are still not done with the school year, and with winter break #2 approaching, it might be hard to focus, but class 4-315 is one tough class, and we’re not ready to break down yet!!! Hello again! My name is Jane, and my name is Jack. Today, we will be telling you what we’ve been doing in December. We got introduced to many activities like a Socratic Seminar! We are also reading Matilda and our fantasy books. . Oh! And we can’t forget that the superintendent came around our school. While she was walking around the building that day, we talked about-facing our inner dragons. In fact, we had a whole seminar on that! Anyway, we had several different opinions, but that was fine with us. It’s ok to have different opinions, after all. What is a Socratic Seminar? Well, we can tell you that it is NOT A DEBATE. However, it is based on having a discussion and dialogue usually coming from a certain text--which can be a short story, poem, and non-fiction text--anything really. A Socratic Seminar isn’t a bull session and it shouldn’t turn into one. We have to come prepared to discuss a text in-depth and have our own questions. People shouldn’t raise hands and should just jump in. It is not appropriate to interrupt or say negative things/comments. After we learned about the rules of Socratic Seminar, we had one on inner dragons. We discussed that inner dragons or facing one’s fears may actually be useful as after you defeat them, you can gain or earn a new strength. Your inner dragon is a problem that troubles you or a phobia. When you defeat it, you can overcome your fear of something. Inner dragons also have to do with making tough decisions called moral dilemmas. We also had a playbill project which was based on the Broadway show, Matilda which was written by Roald Dahl, one of our favorite authors. It was very complicated and had many parts to it--mostly analyzing important messages and exploring how and why the main characters changed. While doing that, we also had to start our nature journals. Nature journals help us to see the connection/relationship between nature and us. Some of us think it is a good idea to take a break from everything and just be with nature. Mrs. Clyne-Davis also has a strong opinion on nature and our environment. Anyway, she thinks it’s a good idea to sit outside and write it so you can actually write and record what you are seeing and your thinking on it. We can even write a poem or draw pictures! It sure has been busy in our classroom and with 2017 coming up; we’re on a roll. We hope that we keep moving forward and have fun with all our projects/work. Well, show’s over ‘till next time, folks. Bye! Hello again! Boy, do we have a lot to tell you about! Everything is going a little magical. To begin, we are starting a new unit on fantasy. We are particularly focusing on a fantasy book called “Matilda” by Roald Dahl. We went on a trip to a broadway show (Matilda Broadway Show). IT WAS VERY INTENSE AND FUN! We all laughed when we found out that Ms. TrunchBull was a man. And the boys liked the laser shooting part. WHAM,WHAM, WHAM!!! It WAS a little cool ,we guess. We are also going to watch the movie and then we will compare how they are different and same from the perspective of the movie and the broadway show… We might even compare the book. We also made our class magazine based on our endangered species article. That’s why these days were pain in a neck for revising the articles. And we also started participating in the Roots & Shoots program. And I have a feeling that we’ll be here ‘till we die if we tell you EVERY SINGLE THING that we did. So let us move on. We also learned the six pillars of character “trustworthiness, respect, fairness, caring, responsibility, and citizenship. Being trustworthy we need to… be honest,tell the truth, and keeping promises. Being respectful we need to be polite and accepting others. Having fairness we need to play by the rules, taking turns and sharing. Being caring to each other is to be kind, be generous, and helping others. Just like HERO… Being responsible we need to do what are suppose to do, doing our best, and also making good choices. And last and finally citizenship. As being a citizen we need to follow the rules, making our community a better place!! There is also two new pillars of character Wisdom (having good sense and making good judgments) and there is also perseverance(continuing to do something even though it is hard) . Remember that these characteristics make up a good character that everyone is proud of! Talking about a fantasy book, we are were separated into groups talk about a fantasy book. We have the BFG, Tuck Everlasting, Freaky Friday, and Ella Enchanted. Talk about overloads! We are doing a biography unit, a fantasy unit, and reading a Tarantula Scientist book all at ONCE!!! At least we had a celebration on Friday for publishing our first magazine in 4th grade. With Thanksgiving coming up, we have a lot to keep in mind! Wondering what Mrs.Clyne’s class is doing? Read on to find out what they did during their first month! During,these few weeks our class has been doing a lot of work. Math, Reading ,Writing, Science, and Social Studies. In the morning we most often play the “Good Morning Starshine” song. While the song is playing we can discuss how we feel and how the day is going. We share this with other people on our ‘imaginary carpet’. This will make our day more delighting. Being delighted can be a very good thing for all of us, especially to start a day. In writing we are learning how to publish our endangered species article. We been working on making a introductuction ,and a nut graf(what the article is mostly about). In Social Studies we are learning about the presidential candidates that are running for president. We are creating a scrapbook with different information about the presidential candidates. We are also reading a story called “The Kid Who Ran for President.” This book is about a kid called Judson running for the president. Of course, this year is the election. We study all about the top running candidates and most of all learning about about “The Kid Who Ran For President” which is full of humor and excitement. As you can see, we have so much fun in the classroom. One example is that in groups of 4, we are writing about an idea that would help the school community. It was hilarious, especially when one group thought about computers that are lifted up into a secret attic and can be pulled back down. Another group thought about a TRI, ( Trash Recycling Incineration). Anyway, we worked hard for this whole month. One month down, 8 more months to go! We hope that in those 8 months, we have an interesting and fun months. Until then, enjoy the rest of the blog’s for the rest few weeks. We will work on many more projects and paperwork. Watch out 4th grade, ‘cause here we come!!! 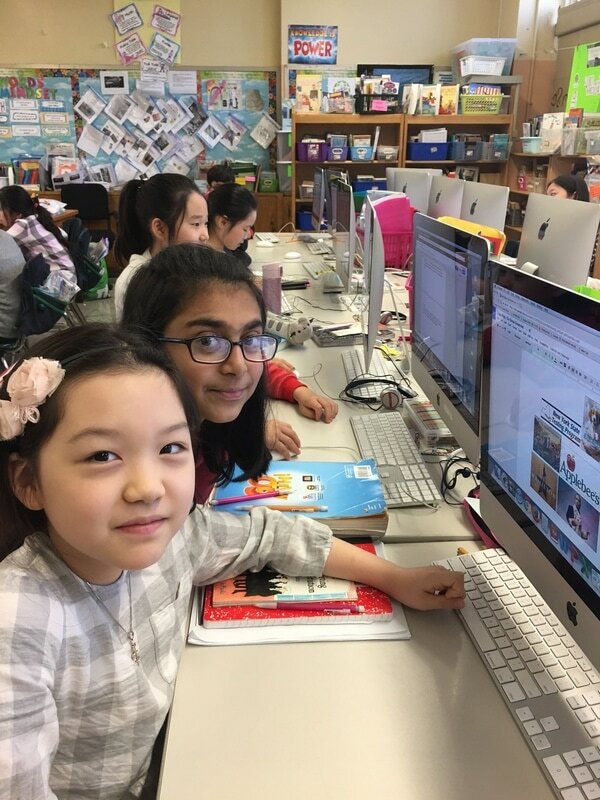 So, did you enjoy reading the class blog? Check out the next blog after the next 2 weeks or so! Until then, Adios Amigos!!! Show’s over!!! You might be wondering what we’ve done in class for these past two weeks. Well, if you read the information below, you will definitely know what we have done so far. But, maybe you might not want to. Hey, it’s your choice. This is a free country after all, right? Well, if you’re very eager to see what our friendly pals did so far, then here they are : I sent you a message! We have been learning a lot during these two weeks.We did math, reading, writing, tech, social studies, and science here are examples.We went on DOGO NEWS, NEWSELA, studied articles, and made responds.Then we also studied the United States election and the swing states. Swing states are states that vote for either side but other states like blue states and red states because they mostly vote for one side. We wrote starfish stories and started to do responds. We learned five of the growth mindsets of Class Dojo. We wrote about big challenges we faced and what we are going to tackle next. We also did a KWL on elephants and a infographic. We read and watched a video called “Elephants Never Forget” We learned about woodland forests and tested the three varied materials. They were potting soil, sand, and humus and we had to see which did we think would grow plants together. We saw by the amount of seeds,water, and sunlight. We did reading responses to books and did the second part of “The Kid Who Ran For President” and read chapters four to seven then we answered questions and wrote definitions of a few words. We also started reading logs to improve our reading. We did a problem of the week and did lessons 1.5 and 1.6 and did the mid- chapter checkpoint. Then we did a hashtag/tweet (the hashtag is basically answering the essential question of today's lesson). We also learned about what we do to help out ourselves, friends, family, and community in the real world and online and compared the two topics. Maybe you might think that we’ve done a lot during these two weeks. Well, we have worked hard. But through this fourth grade journey, we’ll always know that this is Mrs. Clyne’s class and we should work hard throughout the journey. But if we make a few bumps in our tracks, we always learn from them. This is the end of our show folks. Have a good day.